Let me take you back to October of 1982. I was still very much a freshman teacher with the Social Science Department of the High School. We had a short semestral break; and the Department Head – a Mr. Patricio Padilla – thought we should all go to the Diliman campus of the University of the Philippines to inspect its Integrated School and meet with our fellow Social Science teachers there. Of the faculty in the department at that time, I was the only one who was Manila-educated. For that reason alone, Padilla designated me navigator for the day. In other words, I was given the task of ensuring that we got to our destination. There was a bit of a problem, I complained. 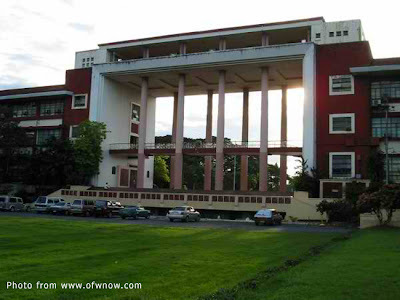 I went to college at DLSU-Manila; and that was at the other end of the metropolis. 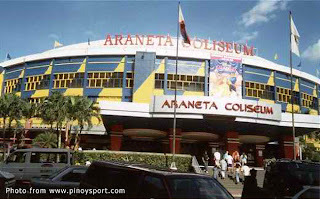 My primal territory was pretty much limited to the Manila-Makati area; and if I ventured to Quezon City at all, it was just to watch NCAA basketball games against the Ateneo at the Araneta Coliseum in Cubao. For all intents and purposes, everyone who boarded that rented van – including the driver – was going on a joyride to a destination that nobody knew how to get to. That was not very smart, was it? “Eh alangan namang kami ang magturô!” was Padilla’s retort. I had to admit that, in a warped sort of way, there was some logic to that. I sort of knew that UP was somewhere near the Ateneo; but had never actually been there at the time. 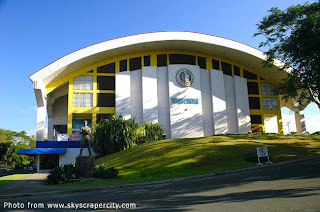 I had been to the Ateneo for football matches during my college days. Then, I would ride with my team-mates; and these guys were Metro Manila born and raised and therefore knew all these obscure little eskinitas that a promdi like me really would not have a chance of remembering. 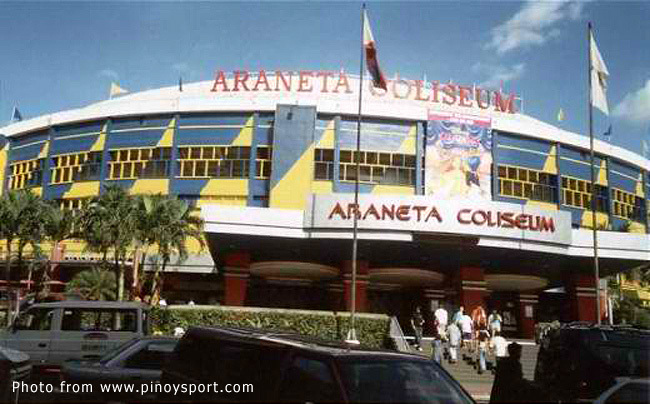 However, I knew that you could get to the Ateneo by turning right to Aurora Boulevard in Cubao just past the coliseum. I knew my team-mates used to take these shortcuts a few hundred meters before the coliseum; but I was not sure I remembered these and thought Aurora Boulevard would be less risky. To make a long story short, after not just a few pullovers to ask for directions from bystanders – and God knows how many silent Hail Marys – we finally got to the UP Integrated School. There, we were given a tour of the tiny campus; met with fellow teachers; and even entered classrooms to observe teaching methodologies. After what everyone agreed was a most productive day, it was time to head home. One can be forgiven for thinking that, after we managed to somehow find our way to UP, getting out of it would be pretty straightforward. Wrong! Those who are familiar with UP will, naturally, take its roads so for granted. We were, on the other hand, probinsiyanos visiting for the first time. 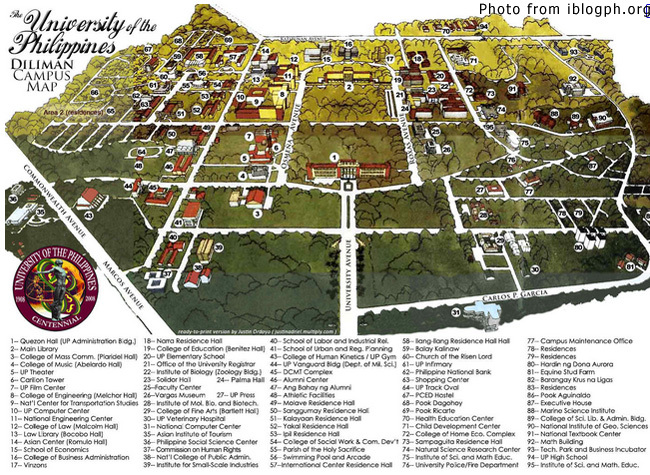 Considering the way UP’s campus road network was built, it was so easy to get disoriented. Nobody was thinking of getting lost, though, as we drove away from the UP Integrated School grounds. As was bound to happen after a day out, everyone was happily chattering about what just transpired and nobody was paying attention to the driver or where he was taking us. Until, during a lull in the chatter, somebody uttered, “Teka, parang nada’nan na natin ang sign na ‘yun.” Everyone looked out the window disinterestedly; and the chatter began again in earnest. So, we drove on. After a while – and amidst the chatter and the laughter – suddenly, there was the same road sign again! This time, everyone sat up and looked out the window. There was no more disinterest. We all realized we were going around in circles; and passed the same road sign for the third time already! Everyone turned towards the driver. “Hinahanap ko ‘yung exit,” he explained, embarrassed. To be fair, the exit roads looked pretty much the same. Nobody seemed to recall how the road we came from looked like. Then, suddenly, salvation! “There,” I pointed at a blue bus that was driving along the campus road. “Follow that bus!” I instructed the driver. 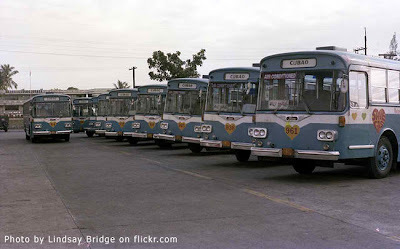 In the seventies and eighties, there used to be this bus line that plied the Metro Manila routes. I think the bus line was the brainchild of the MMDA in an effort to decongest the roads by convincing car-owners to take these comfortable air-conditioned buses instead of their cars. The bus line was called the Metro Manila Transit. And I knew the bus I was pointing at would eventually return to one of the metropolis’ main thoroughfares, which I would be able to recognize… I just needed to get to somewhere familiar. Albeit, while following the bus, we passed that same sickening road sign for a fourth and final time; and then the bus headed for an exit… We happily drove after it! For a long while after we left UP, though, I was still absolutely clueless where we were. The bus was turning here and there into roads I had not been to before. I was starting to feel fidgety. Then, my eyes lit up! There! Right ahead, vehicles were racing along both directions. I would take it from here, if you please! EDSA! No small thanks to a Metro Manila Love Bus.